JSSC Admit Card 2019: Below are the admit cards published by JSSC - JSSC - Jharkhand Staff Selection Commission / admitcards.online-ap1.com. The recent Admit Card issued for the recruitment drive is JHPDCE-2018 Admit Card 2019. JSSC JHPDCE-2018 Admit Card 2019: JSSC - Jharkhand Staff Selection Commission has issued the Admit Card on 10 Jan 2019 for JSSC JHPDCE-2018 Exam. JSSC Vehicle Driver Admit Card 2019 (JHPCCE-2018): JSSC - Jharkhand Staff Selection Commission has issued the Admit Card on 11 Jan 2019 for JSSC Vehicle Driver Exam 2019 which is scheduled to be held on 17 Jan 2019. JSSC Staff Nurse, Other Posts Admit Card 2018: JSSC - Jharkhand Staff Selection Commission has issued the Admit Card on 21 Nov 2018 for JSSC Staff Nurse, Other Posts Exam- 2018. 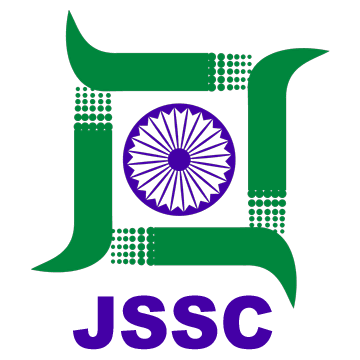 JSSC Field Clerk Skill/ Typing Test Admit Card 2018: JSSC - Jharkhand Staff Selection Commission has issued the Admit Card on 07 Aug 2018 for the exam. JSSC FCLCE 2017 Admit Card 2018: JSSC - Jharkhand Staff Selection Commission has issued the Admit Card on 14 Jun 2018 for the exam. JSSC CGTTCE Admit Card 2018: JSSC has issued the Admit Card on 23 Mar 2018 for the exam. JSSC PGTTCE 2017 Admit Card 2018: JSSC has issued the Admit Card on 17 Feb 2018 for the exam. JSSC IS (CKHT) CCE-2017 (Panchyat Secretary & Other Posts) Admit Card: JSSC has issued the Admit Card on 11 Jan 2018 for the exam which is scheduled to be held on 21 Jan 2018, 28 Jan 2018 and 4 Feb 2018. JSSC Intermediate CCE Re Exam Admit Card 2017: JSSC has issued the Admit Card on 06 Jan 2018 for Intermediate Standard Combined Competitive Examination-2017 Re Examination for HO Language Paper. IRBGCCE 2017 Admit Card: JSSC has issued the Admit Card on 21 Nov 2017 for the exam. JPSILCE 2017 Online Admit Card: JSSC has issued the Admit Card on 20 Nov 2017 for the exam. Jharkhand Police Radio Operator Competitive Exam Admit Card 2017: Jharkhand Police has issued the Admit Card on 11 Nov 2017 for Jharkhand Police Radio Operator Competitive Exam 2017. Jharkhand Combined Police Sub Inspector Competitive Exam 2017 (Mains) Admit Card: JSSC has issued the Admit Card on 10 Nov 2017 for Jharkhand Combined Police Sub Inspector Competitive (Mains) Exam 2017. JPROCE-2017 Admit Card: JSSC has issued the Admit Card on 11 Nov 2017 for the exam. Jharkhand Police SI Limited Competitive Exam Admit Card 2017: JSSC has issued the Admit Card on 20 Nov 2017 for Jharkhand Police Sub Inspector SI Limited Competitive Examination Admit Card 2017 which is scheduled to be held on 26 Nov 2017. Jharkhand Police Radio Operator 2017 Exam Dates & Admit Card date Announced: JSSC has issued Date of Download Admit Card & Exam on 13 Oct 2017 for Jharkhand Police Radio Operator Exam 2017 which is scheduled to be held on 23 Nov 2017 to 28 Nov 2017. Admit Card may Download from 11 Nov 2017. JPRSIWCE 2017 Admit Card: JSSC has issued the Admit Card on 03 Nov 2017 for 100 Radio Sub Inspector Wireless Vacancies - JPRSIWCE 2017 which is scheduled to be held on 13 Nov 2017 to 14 Nov 2017. JSSC TGT 2016 Exam Dates & CGTTCE Admit Card Info: Finally the Jharkhand Staff Selection Commission has published a notification related to CGTTCE 2016 in which it is said the the examination will be held from 29.10.2017 to 26.11.2017. Exam Centre: RANCHI (all exams will held in centres at Ranchi except candidates having Zoology & Chemistry in 2nd part. The JSSC TGT 2016 admit cards will be uploaded on 20.10.2017 which candidates will be able download from JSSC Website. JSSC TGT Admit Card 2017 / Jharkhand CGTTCE 2016 Exam Dates & Admit Card Information: The much awaited exam is now going to held from 29.10.2017 to 26.11.2017. and admit card for the same will be available to download from 20 Oct.
JSSC has issued the Admit Card on 26 Sep 2017 for the Intermediate Standard Combined Competitive Exam 2017. Jharkhand Police has issued the Admit Card on 18 Aug 2017 for Jharkhand Combined Sub Inspector Competitive Examination-2017 (PT) which is scheduled to be held from 20 Aug 2017 to 15 Sep 2017.